You could say I’m on a bit of balloon banner kick right now. I think I’m way late to the game on this one (what’s new), but that’s beside the point. I’ve always thought these looked so cute so I decided to try it for the bridal shower I threw a few months ago. And then, I loved it so much that I had to make it for my nephew’s second birthday party, too! Once I discovered how easy (and CHEAP) this decor/project was, I’ve been searching for other reasons of why I can make one! The entire project from start to finish only took me about an hour to and hour and a half. *Stick end of tied balloon into hole on strip–you can alternate colors if you want and I tried to alternate by size. 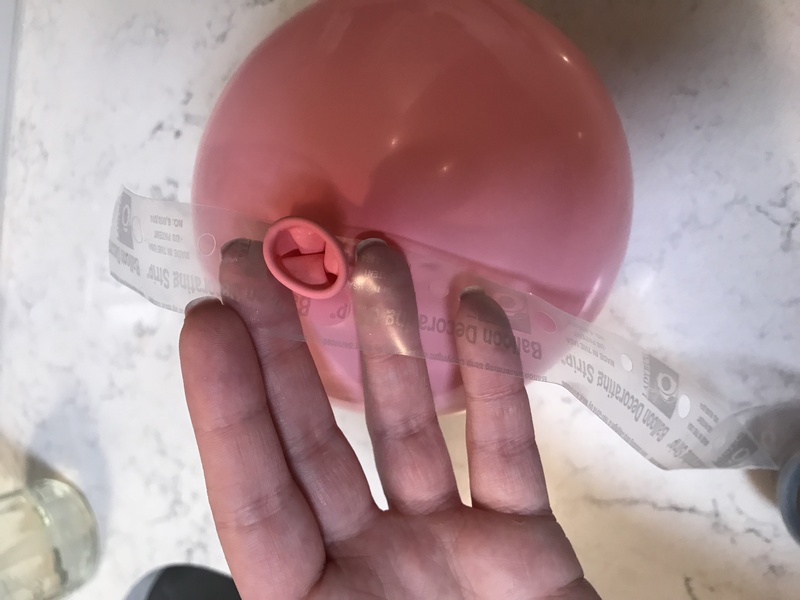 I put a balloon in every single hole next to each other but you can space out if your balloons are larger. 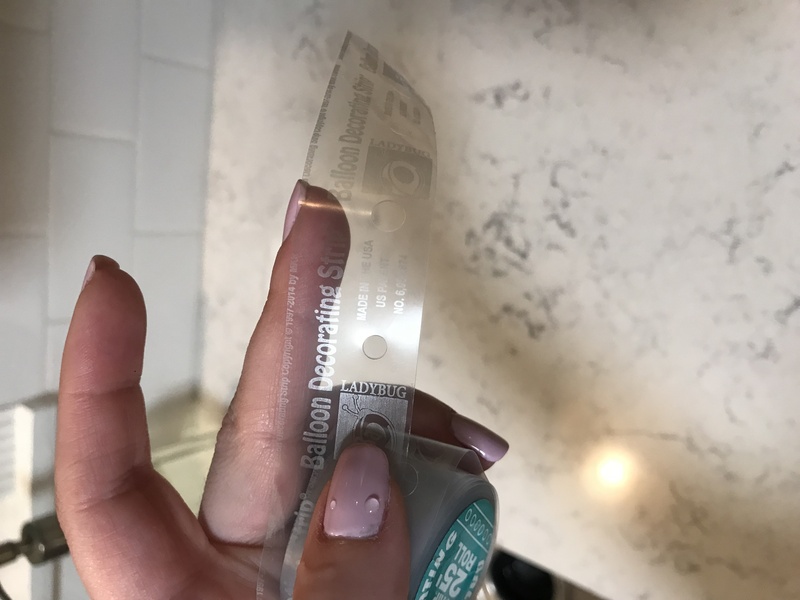 Keep putting balloon ends through hole until you have the banner to your desired length. -I bought a low heat glue gun in case I needed to glue any balloons to each other after hanging, but I didn’t have to use it. 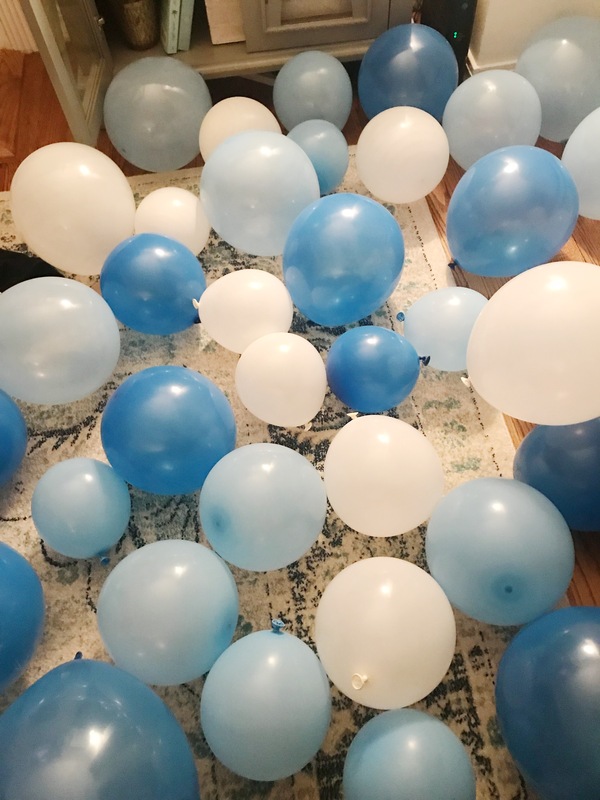 To fill in gaps, I either stuffed the balloons in the gaps or you can use double sided tape to adhere (not necessary though). I promise, you CANNOT mess this project up! 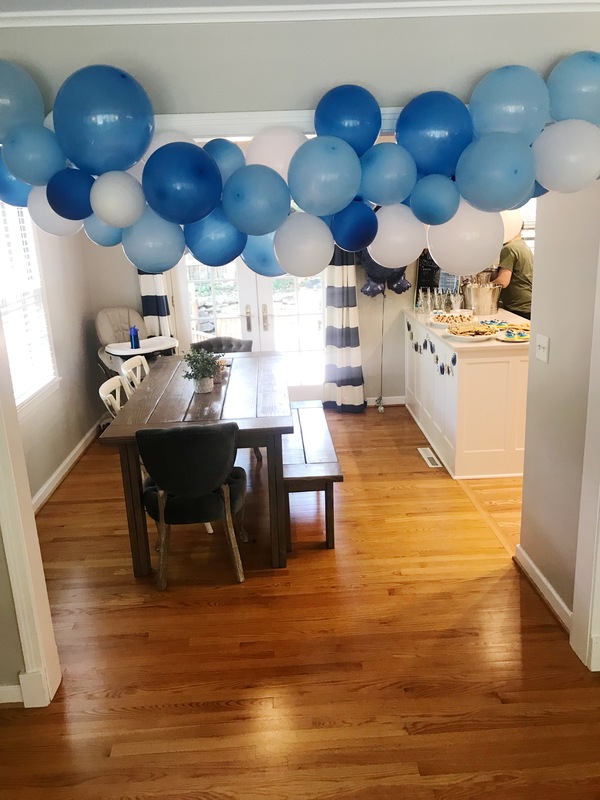 If you don’t like the way an area looks, adjust balloons or add more!